Unlike many other alternate sources of income we have seen come, go or struggling, online trading (commonly called “Forex Trading” in Nigeria) has undoubtedly stood the test of time which goes without saying, the fact that trade between people and nations is hinged on currency and how it changes hands is primarily the reason for its continued existence. With (mobile) technology opening Nigerian(s) up to many different trade and alternate financial resource options, it was only a matter of time before forex trading was broken down to quick maths; Michael Dapaah style. 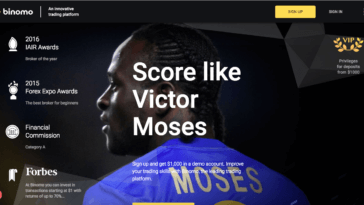 However, even with that, many financially unstable and investment savvy Nigerians are wary of the ease with which online trading platforms have made the whole exercise seem. While some of these fears are legitimate, when we remember the MMM saga which, though was a get-rich-quick scheme, presented itself to be a simplified means of investing money and making fat returns, it makes for good debate why the same should not be perceived of online trading platforms which are being advertised everywhere everyday. The one question many are still asking is, should I trade forex? Who should I trade with and what should I look out for? Legit concerns and I will answer these questions with my deductions so far from existing online trading platforms. Note that I am not comparing MMM or other forex trading platforms with one another; I am only using the concerns people have raised as reasons they choose not to trade forex as the basis. 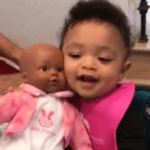 Forex trading platforms refuse to have a physical or human face to their brand. Someone who can attest to the validity of the platform. Most forex trading platforms rely heavily on social currency and the talkability from their already existing users. In entering new markets, there seems to be a reliance on what they hope to make from their potential users without an actual marketing budget which is evidently burdensome. There is a focus by many a forex trading platform on how much you can make in record time with little to no attention being paid to the reality of the hustle that forex trading can be especially for first time traders. I have heard testimonials of some traders who supposedly made $300 (109,000 NGN) within a month. 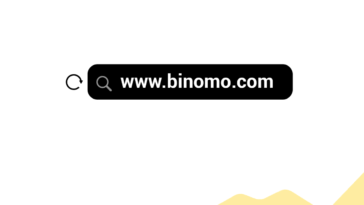 In the case of Binomo, there is an actual website binomo.com and that is where anyone who seeks information about the platform needs to go to get acquainted with the platform or start trading. Not only is there a website, there is also a mobile application on iOS and Android OS which affords more mobile users the opportunity to trade. 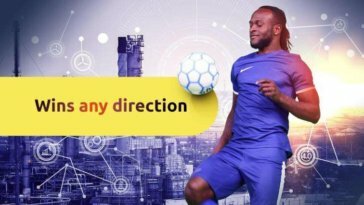 Earlier in the year, Binomo announced a groundbreaking partnership with Nigerian and Chelsea FC star, Victor Moses. 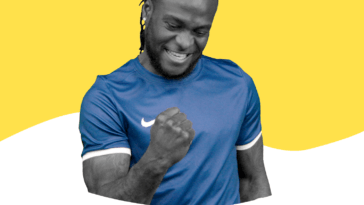 Voted 2018 Nigerian footballer of the year, Victor Moses said, “I’m really proud of this partnership with a reputable brand like Binomo and look forward to working with them to engage my fans and friends across the continent of Africa. The Binomo platform is safe, secure, and reliable, and that was a major attraction for me.” He is to play an integral part in the company’s marketing campaigns in Africa and parts of Asia. Binomo has an evidently robust marketing budget which goes to show that the platform isn’t relying on users’ money to operate or advertise. Youtube is awash with their ads, mobile apps are popping the Binomo ads per second and local buses in Lagos, Nigeria sport their colors and information. According to the company, their collaboration with clients is completely transparent, while their high-tech service allows traders to see the actual picture of the world’s financial markets, and to evaluate risks objectively. And with regards to how the company has fared in other markets before deciding to enter Nigeria, the Binomo brand takes great pride in being one of the leading platforms in the currency trading niche and this is highlighted by its impressive track record. This includes a long list of Awards such as Best Broker for Beginners (2015 Forex Expo Awards), Broker of the Year (2016 IAIR Awards) and ‘Category A’ rating by Financial Commission, an independent self-regulatory and external dispute resolution (EDR) body, dedicated specifically to Forex. Have any more questions? Ask in the comments. Otherwise, start trading by visiting binomo.com. This article first appeared on TechCityNG.